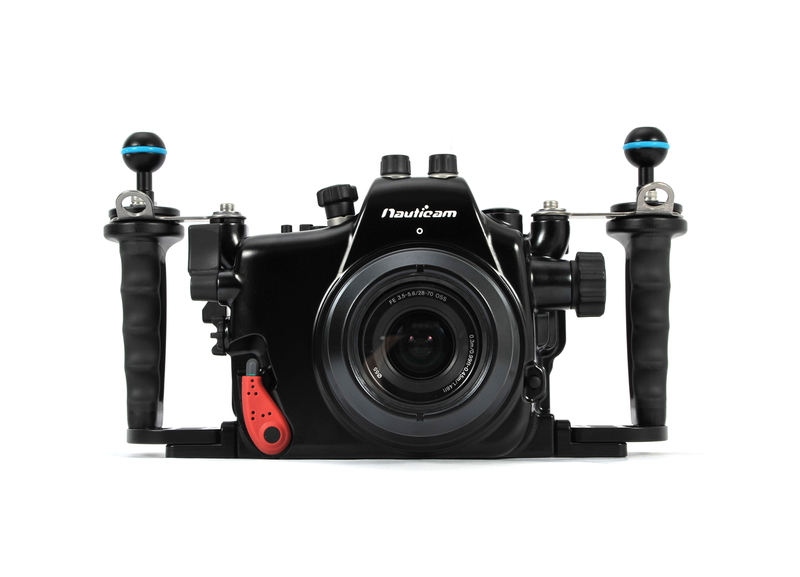 Produktinformationen "Nauticam NA-A7 Unterwassergehäuse für Sony A7, A7R, A7S"
The new housing for the A7 delivers on the promise of the A7: Full frame camera - small package. A new port system was designed for this camera… the SLR port opening was too large, meaning that the housing would be too large, and the existing mirrorless system port opening is too small for some of the lenses expected in the new Sony FE lens lineup. So, a new line of intermediate size ports is required and is being delivered with this housing. The NA-A7 includes a pre-installed Nikonos style 5-pin bulkhead with universal hotshoe connection (x and ground connection only) installed, enabling manual control of the most commonly available strobes, such as the Inon Z-240 or Sea&Sea YS-D1. Additional strobe firing options will be announced at a later date. Despite the small size, this is a very easy housing to operate, even with gloves on. Every control is placed where a underwater shooter wants it - after all, the design team are underwater photographers themselves and strive to make every Nauticam housing the most ergonomic available. Each control, whether it is to change aperture or shutter speed, access the autofocus lock, change ISO, or even play back, is given consideration to minimize movement and make shooting easier. Weiterführende Links zu "Nauticam NA-A7 Unterwassergehäuse für Sony A7, A7R, A7S"
ab 117,81 € * mit MwSt. 1.105,51 € * mit MwSt.